Location, Location, Location: So many places to explore. I have provided some resources for you to get information to help you locate and determine what information is most beneficial to start your knowledge journey. Enjoy the discoveries others have made about their success in mastering leadership skills and life transitions. Lean In-Women, Work and the Will to Lead by Sheryl Sandberg: Sandberg is the COO of Facebook and believes that “Now is the Time” that women sat up and took notice of the inequality of women leaders in the corporate world. She explains why having women in leadership roles is so important for business and society. Yes, there are obstacles, however women must realize that they bring much to the table and men reading this book can see what they are missing from women’s abilities to lead. Gender biases must be overcome. Lean In Ladies!!! Wander Woman: How High Achieving Women Find Contentment and Direction by Marcia Reynolds. “The new generation of women are confident,ambitious, and driven yet anxious, discontent and above all restless.” What is the root cause of this restlessness? The author gives the reader the tools to strategize and plan to remove these negative influences from one’s life. With the appropriate methods, exercises and practices, the reader can find a new direction and thoughtfully plan her next move to make more sense in her busy imbalanced life. Focusing on what one can control, and remembering one’s mission can be a start. Why You Didn’t Get The Job by Diane Cashin: This book gives ten steps for success in business acting as a “Woman’s Guide for Navigating Her Way to the Top”. The author explains how women are frustrated trying to be authentic and running up against getting their point across in a manner that men will understand and accept as credible. In reading this guide, you will learn to remove road blocks and face the reality that you are not using the potential you have as a women to lead in today’s world. You can develop your greatest features from the information within this guide. Vital Voices: The Power of Women Leading Change Around the World by Alyse Nelson: This is a book that tells about a movement that is exonerating women who have become leaders facing obstacles and gender biases that they wish to eradicate for women throughout the world. It stresses equality and social justice through women’s leadership. This book is an inspiration to women to see the possibilities that their leadership can create. How Women Lead, The 8 Essential Strategies Successful Women Know by Sharon Hadary and Laura Henderson: This book packed with case studies and research inspires successful women to be even more successful in taking their leadership dreams to new heights. Using this book as a guide puts structure to the daily needs women have to become powerful in the workplace. Finding your passion, taking inventory of your needs, realizing your strengths and weaknesses are just a few of the necessary factors that will make a woman more powerful. The author lists behaviors young women make that they have learned in girlhood and how to eliminate them from thier daily lives. Coaching tips are provided to deal with each behavior that arises in the workplace.Some mistakes: Ignoring Feedback, Couching Questions as Statements, Asking Permission, Apologizing. Acting Like a Man. Read this easy to navigate coaching book to improve your strategies immediately and become effective in your career “at the table”. 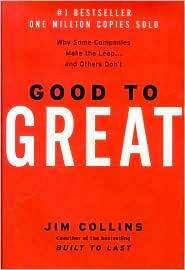 Good To Great – Jim Collins: Learn what separates good leaders from great leaders. Formulate your business goals through principles discussed on how to refine your business model. 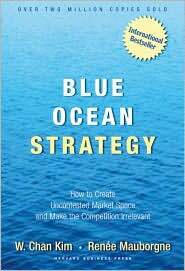 Blue Ocean Strategies -W. Chan Kim & Renee Mauborgne: Find that unique value in your company to distinguish it from the rest so you are riding the tide and not being pulled under. 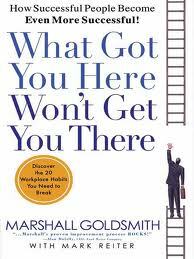 What Got You Here Won’t Get You There -Marshall Goldsmith: Leaders must realize that your business has been developed, and now you must look beyond what got you to this place in order to stay ahead of the game. The Success Principles – Jack Canfield: The author presents principles that have been used by successful leaders to help deal with “daily challenges, realize your ambition, and live with passion and purpose”. Mastering The Rockefeller Habits – Vernon Harnish: The author provides the reader with strategic tools to keep the entrepreneurial spirit of their business and still safely increase their growth potential. What worked for the Rockefellers was the application of consistent habits. Those habits are explored in simple terms to assist the reader in making strategically smart decisions. The Eighth Habit – Steven Covey: Find your voice and inspire others to find theirs. 12: The Elements Of Managing – Rodd Wagner & James K. Harter: The largest study of employee engagement due to great managers inspiring and empowering their employees in the face of many environmental challenges. The Extraordinary Leader: Turning Good Managers Into Great Leaders – John Zenger & Joseph Folkman: The authors’ objectives were to present a book in language that one would find easy to process about the nature of developing leaders within organizations, offering actions that could be applied, and statistics that would show that leaders can be developed with the right people using the right methodology. Leadersip Presence – Belle Linda Halpern & Kathy Lubar: Leaders must be able to be present, reach out, express feelings, and except themselves with authenticity in order to empower and inspire their employees. Leadership and Self-Deception – The Arbinger Institute: Through telling a story of one man’s struggle with his challenges, the authors have shown how we, ourselves, are consistently placing barriers in our way and lack the awareness to overcome our failings. 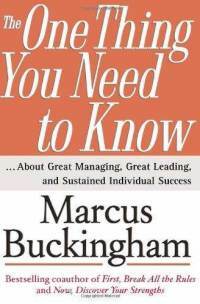 This book gives insight into how to make things work for us. The importance of knowing if we are working from within the “box”, or outside the “box” is what will make the difference in our life and business relationships and lead to successes. The Three Laws of Performance – Steven Zaffron and David Logan: The authors present a new way to look at leadership possibilities and potential of individuals to collaborate and become leaders. 1.People perform due to their own perception and experience, 2. How the situation occurs to them is developed through language, 3. Future based language transforms how situations occur to the individual: promises, declarations, requests. 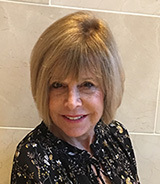 Winning in a Man’s World: Advice for Women who want to succeed and the men who work with them – Renee Weisman: After reading each chapter, you have the opportunity to work on an exercise that relates immediately. You can use all the advice in this book from time to time. You can consider the information in this book easy to apply and will definitely become more attuned to the way your act, react, and respond on a daily basis. Paying attention to communication both verbal and non verbal will help you make inroads in a very competitive environment. Find Your Great Work – Michael Bungay Stanier: This little activity book helps the reader realize the great possibilities they have for doing great work. learn how to do things differently to achieve bigger and better results. Coach Yourself To A New Career – Talane Miedaner: The author presents 7 steps to help you realize what you need to do to reinvent your professional life. Activities help hold you accountable for who you are and who you want to be. Life Is A Verb – Patti Digh: The author’s blog became her book of stories from different individuals and their becoming aware of the need to take action in one’s life, to “smell the roses”, and to witness life as living it with great intention. The Power Of Now – Eckhart Tolle: Becoming present to your inner being is voiced in this self exploratory book. With this presence one will learn to shed false beliefs about happenings and become more relaxed and able to proceed through life with positive results. Smile For No Good Reason – Lee L. Jampolsky: The author presents short prescriptions for altering our attitude enabling us to look at possibilities in life for happiness and well being. The Anatomy Of Change: A Way to Move Through Life’s Transitions – Richard Strozzi Heckler: The author shows exercises that illustrate how we can use energies to deal with our individual conflicts so we can then utilize the techniques to have more internal power to overcome issues and become productive. Being Human At Work: Bringing Somatic Intelligence Into Your Professional Life – Richard Strozzi Heckler: Due to technology, we have lost sense of our bodies and the feelings of enjoyment. We tend to be mechanized in our everyday lives. Somatics are a set of practices that create presence in ourselves so we can be present to others. Language And The Pursuit Of Happiness – Chalmers Brothers: This book gives the reader a new foundation for designing your life, your relationships, and your results.Using the right language can become your open door to effectiveness, happiness and success in relationships in all walks of life. Many more books are available for you to learn from and become empowered to make you more aware if your needs, desires and potential achievement in areas of excitement for you. Contact Isabel to discuss your next step in your unique journey toward self-fulfillment.